The updated engine produces 710 ponies. Ferrari extensively updated the 488 GTB, so modifications go far beyond the aero changes and power bump. Ferrari chose the name ‘Tributo’ to pay a tribute to both the model’s unbending design and to the most powerful V8 engine in Prancing Horse history for a non-special series car. The 3.9L V8 won “Best Engine” in the International Engine of the Year awards for the last three consecutive years. 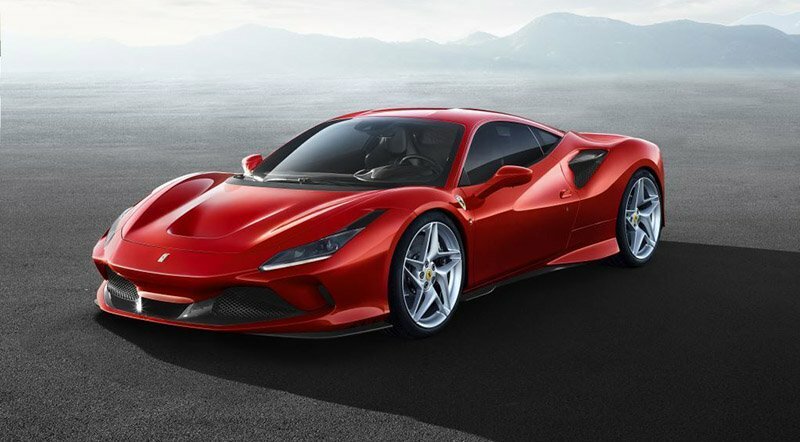 The updated engine produces 710 ponies, which is 49 horsepower more than the 488 GTB. The engine is powerful enough to take the car to 100 km/h from standstill in just 2.9 seconds. It can cover 0 to 200 km/h in only 7.8 seconds. The top speed is limited to 340 km/h. Talking about the design, while it looks similar to 488 GTB, Ferrari tweaked every detail to make it look a new car. The biggest change on the front is the addition of the modified S-Duct, which increases the downforce by 15% compared to its predecessor. Inside, we find the normal driver-focused cockpit. However, the engineers altered each component of the dash, door panels, and tunnel. Expect to see the new generation HMI (Human Machine Interface), complete with round air vents, new steering wheel, and controls in addition to a fresh 7” passenger touchscreen display. For more details on Ferrari F8 Tributo, stay tuned as we cover the upcoming Geneva Motor Show.